AMS is first and foremost an engineering company. The AMS Engineering team utilized Solidworks (3D software) to blueprint the inlet and outlets to optimize exhaust flow. 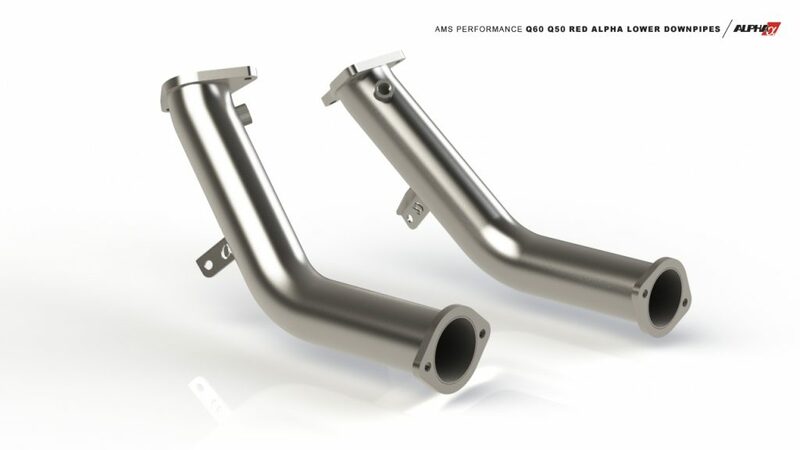 The Red Alpha Downpipes feature heavy gauge stainless steel to retain as much heat in the down pipe as possible. Our Engineers 3D printed the downpipes to ensure an OEM level of fitment. 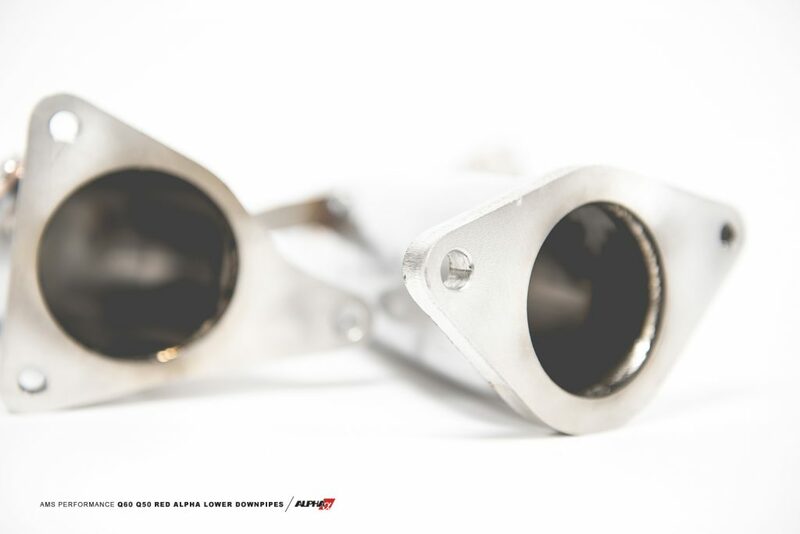 Our threaded O2 sensor bungs allow the use of factory O2 sensor. 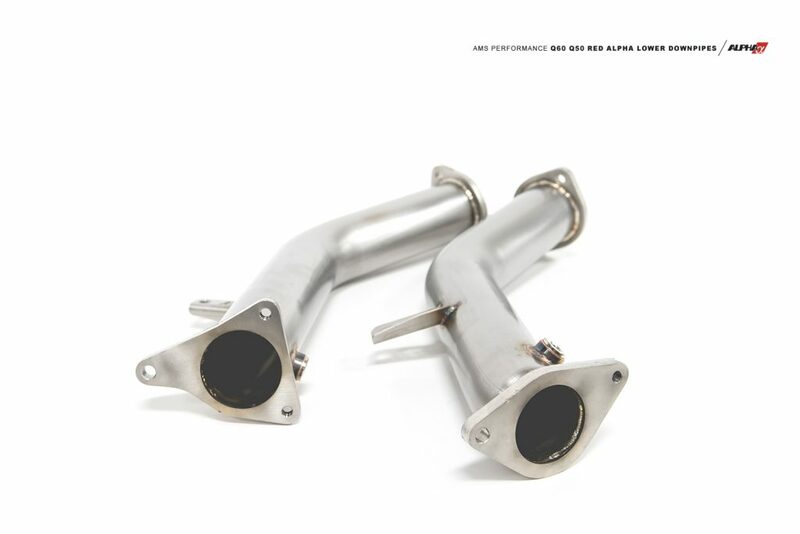 Our downpipes perform better and are not prone to cracking like the alternatives offered by some of the competition. Weight savings are also improved. 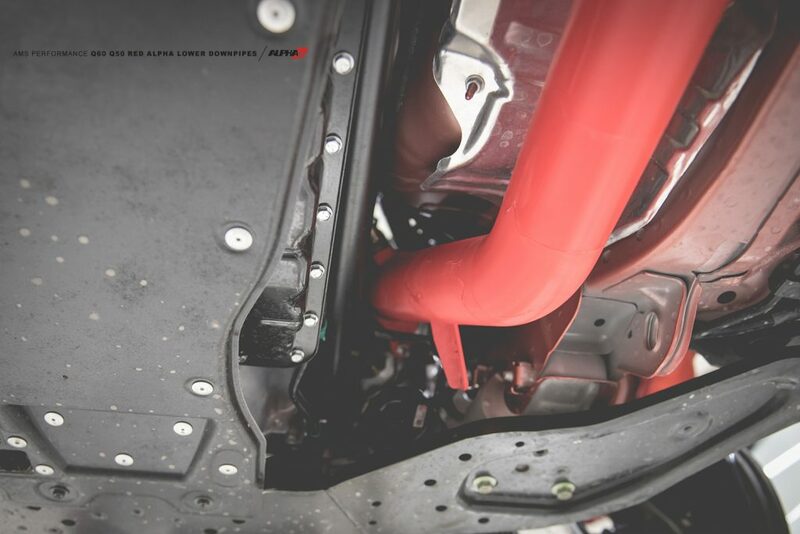 The Red Alpha Lower Downpipes are over 62% lighter than the stock components. AMS’ Engineering Team produced a product that doesn’t just perform better, they made it sound better too.